As an adult learner, you may be an experienced student or returning to learning after time away. 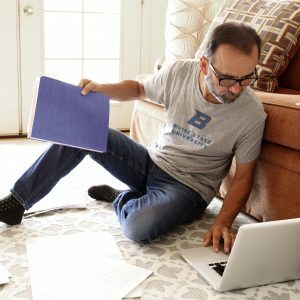 Boise State University offers a variety of programs tailored for adults interested in pursuing their education. Learn more about the different programs we offer from weekend classes to degree completion by exploring the options below. If you just want to take one or two undergraduate courses of interest or you missed the undergraduate admission application deadline for the semester, you may want to apply as a Nondegree-Seeking student. The credits you earn can be applied towards a degree after changing your status to degree-seeking. If you have never attended college congratulations on taking this big step! If you have already earned at least one college credit we are happy you are planning to continue your education at Boise State. If you have graduated with a bachelor’s degree and you would like to earn a second bachelor’s degree, you would be considered a Second Bachelor’s Degree student. Idaho residents who are at least 60 years old may register for Boise State courses on a space-available basis. Qualifying seniors must apply to Boise State, pay $5 per credit hour, a $20 registration fee (per semester) and any special fees (such as for private music lessons, workshops, or laboratory fees). The senior citizen rate does not apply to the self-supporting programs (such as teacher professional development) and noncredit programs (like the Osher Lifelong Learning Institute). Seniors utilizing the Idaho Senior Citizen’s Fee Reduction program will be able to register for classes at the open enrollment date as space permits. To receive the senior citizen rate, first apply for admission, then request the Idaho Senior Citizen‘s Fee Reduction from the Payment and Disbursement Center (Administration Building, Room 101) or call (208) 426-1212 and provide the cashier your driver‘s license, birth certificate, or other proof of your age.